Ronald C. Minkoff is a partner in the Litigation Group and Chair of the Professional Responsibility Group. Mr. Minkoff is also one of New York State’s leading practitioners in the field of attorney ethics and professional responsibility, representing attorneys in a wide variety of matters including law firm partnership disputes, disciplinary cases, legal fee disputes and legal malpractice and professional liability cases on behalf of both plaintiffs and defendants. He also provides ethics opinions and advice to a wide variety of law firm clients. Mr. Minkoff is a member of several Bar Ethics Committees, including the Committee on Standards of Attorney Conduct (COSAC) and the Committee on Professional Discipline of the New York State Bar Association. He is also the Chair of the Task Force on Professionalism of the New York County Lawyers Association, a former member of the American Bar Association Standing Committee on Professionalism, and a past President of the Association of Professional Responsibility Lawyers. He is co-chair of the Attorneys’ Liability Subcommittee of the ABA Professional Liability Litigation Committee. He is a member of the Media Law Resource Center (MLRC) ethics committee and has written extensively for the New York Professional Responsibility Report, The Professional Lawyer, The New York Law Journal, and other publications. He is the former co-Managing Editor of the New York Legal Ethics Reporter and author of Lexology’s New York Professional Negligence Navigator. Mr. Minkoff is an Adjunct Professor of Professional Responsibility at Benjamin N. Cardozo School of Law. He has also served as an Adjunct Professor at New York University School of Law, Fordham Law School, and Brooklyn Law School. He is a frequent lecturer on the law of lawyering. 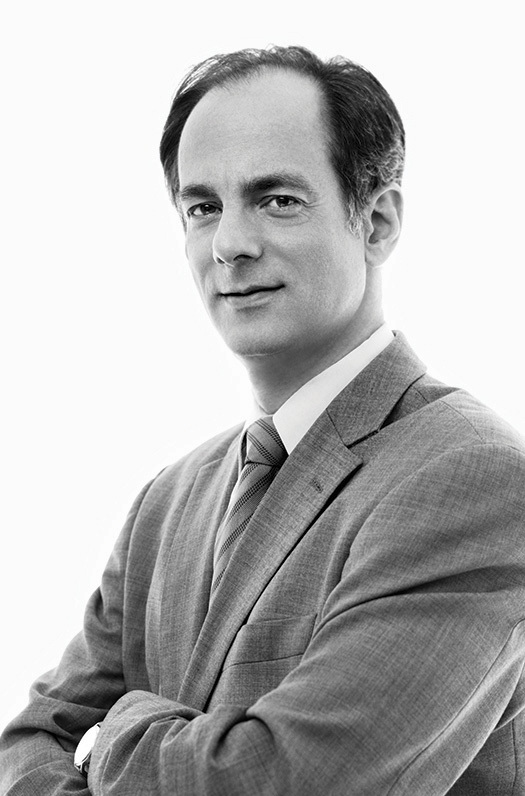 Mr. Minkoff is a graduate of Columbia Law School (JD, 1980). He was an attorney at the Nassau County Legal Aid Society (1980-83), and was associated with Obermaier Morvillo & Abramowitz, P.C. (1983-85) and Owen & Fennell (1985-87). Mr. Minkoff was a member of Fennell & Minkoff (1987-94) and Beldock Levine & Hoffman (1994-2001) before joining Frankfurt Kurnit. He is admitted to practice in New York. Representative cases: Fragin v. First Funds Holdings LLC and Moses & Singer LLP, 2016 WL 4256984 (Sup. Ct. N.Y. Co. 2016); Grynberg v. BP Exploration Operating Co. Ltd. 127 A.D.3d 553, 7 N.Y.S.3d 125 (1st Dep’t (2015); Lakah v. UBS AG, 996 F.Supp.2d 250 (S.D.N.Y. 2014); QBE Ins. Co. v. Maloof, Lebowitz, Connahan & Oleske, 2105 WL 7188350 (Sup. Ct. N.Y. Co. 2015); In re Lerner, 112 A.D.3d 144 (1st Dep’t 2013); Frauzblau v. Cassin and Cassin LLP Index: 105949/10 Supreme Court New York County (2010); Carl v. Cohen and Greenberg Traurig, LLP 23 Misc.3d 1110(A) 886 N.Y.S.2d 66 (2009); Conopco, Inc. v. Wein, 2007 U.S. Dist. LEXIS 46945 (S.D.N.Y. 2007); Trepel v. Dippold, 2006 U.S. Dist. LEXIS 78050 (S.D.N.Y. 2006). Ronald C. Minkoff presents "What You Should Know: Legal Ethics Pitfalls and Hot Issues Attorneys Encounter” on an American Bar Association webinar. Ronald C. Minkoff and Tyler Maulsby present “What You Should Know: Legal Ethics Pitfalls and Hot Issues Attorneys Encounter” during a webinar for the American Bar Association. Ronald C. Minkoff presents a Risk Management & Ethics session at The Conference Board’s “Advancing Well-Being in the Legal Profession: Tackling Substance Use Disorder, Anxiety, Depression & Mental Diagnosis Head On” event. Ronald C. Minkoff is a panelist on “Ethical Issues for Estate Planners” at the 50th Annual Estate Planning Institute. Ronald C. Minkoff and Nicole Hyland present “The Wheel of Fortune: Hot Topics in Ethics for Entertainment Lawyers” for the Entertainment, Arts and Sports Law Section of the New York State Bar Association. More information here. Ronald C. Minkoff speaks at the Association of Professional Responsibly Lawyers Association meeting on the use of public shaming techniques in disciplinary and sanctions proceedings in Vancouver. Ronald Minkoff presents a "Post-Conviction Capital Defense" CLE training. Ronald Minkoff presents "Ethical Issues for Law Firm Supervisors" for the Clear Law Institute. More here. Ronald Minkoff chairs PLI's "Staying Out of Trouble 2016: The In-House Attorney-Client Privilege, Ethics, & Technology Quiz Show" on December 22nd. Should On-line Providers of Legal Forms be Regulated? If So, by Whom? If Not, Why Not? Ronald C. Minkoff is a featured panelist at New York County Lawyers' Association's forum, "Should On-line Providers of Legal Forms be Regulated? If So, by Whom? If Not, Why Not?". For more information, please click here. Ron Minkoff speaks on e-discovery spoliation issues at the ABA National Legal Malpractice Conference in Chicago. We are Silver Sponsors of the event. Ronald C. Minkoff presents, "Testing the Paradigm: Regulatory Objectives and Access to Justice in the UK, Canada and the U.S" at the International Legal Ethics Conference VII on July 15th. Ron Minkoff speaks at the NBI National Teleconference on "Law Firm Exit Strategies: Effective Approaches for Successful Goodbyes." Nicole Hyland moderates a panel on the "The Ethics of Advising Clients on Social Media" and Ron Minkoff speaks on the panel "Ethics Issues Regarding Client-Requested Retainer Provisions" at the National Conference on Professional Responsibility for the American Bar Association in Philadelphia. Nicole Hyland and Ron Minkoff speak at the 7th International Professional Responsibility Conference for the Association of Professional Responsibility Lawyers (APRL) on "Ethics and Risk Implications of Cloud Computing and Data Privacy" and "Legal Malpractice in International Business Transactions." The event takes place in Paris. Ron Minkoff participates in the 2015 Appraisers Association's Art Law Day on Friday, November 6th in a panel titled "Ethics and Fiduciary Duties" about the ethics of authentication of artwork from the standpoint of appraisers, art advisors and lawyers. Ronald C. Minkoff speaks on "When Lawyers Leave Law Firms: Ethics and Best Practices" for ABA. To purchase the CLE please click here. Ronald Minkoff leads an ethics CLE, entitled "Lawyers in Transition" for the ALI/ABA. Ronald Minkoff speaks for a CLE webinar, “Attorney Fees & Ethics: It Pays To Be Reasonable" presented by the National Association of Legal Fee Analysis (NALFA). Ronald Minkoff presents at the New York City Bar's CLE program, "#WhatYouNeedToKnow: Professional Conduct and Advertising in the World of LinkedIn, Facebook and Twitter." Ronald Minkoff co-chairs "Current Ethical Issues for In-House Counsel & Those Who Advise Them" at the New York City Bar Center for CLE. Register here. Ron Minkoff speaks at the City Bar Center for CLE on 'Attorneys, Agents and Managers in The Entertainment Industry: Roles and Relationships'. Ronald Minkoff presents the CLE "Ethical Issues in Supervising Others" for the Attorney General's Office. Ronald Minkoff performs in The Adventures of Peter the Great - Twelfth Night, an original musical comedy written, produced and performed by members of the New York City Bar. Nicole Hyland and Ronald Minkoff present a CLE on E-discovery. Program Venue: Outten & Golden LLP, 3 Park Avenue, 29th Floor, New York, NY 10016. Ronald Minkoff speaks at the City Bar Center for the CLE's program, "Current Ethical Issues for In-House Counsel & Those Who Advise Them". Ron Minkoff presents "Managing Conflicts of Interest Effectively" at the New York State Bar Association's Business Law Section and Corporate Counsel Annual Meeting. Ronald Minkoff speaks on "Current Ethical Issues for In-House Counsel & Those Who Advise Them", a program for the City Bar Center for CLE. Ronald Minkoff moderates a panel on "The Ethical Infrastructure and Culture of Law Firms" at Hofstra Law School. Nicole Hyland speaks on and Ronald Minkoff moderates "Staying Out of Trouble: What Every Attorney Must Know About Ethics", a panel at the PLI Institute of New York. Ronald Minkoff presents "Best Practices for Complex Cases" at the Practicing Law Institute's annual "Bet the Company" event. Ronald Minkoff chairs "Staying Out of Trouble: What Every Attorney Must Know About Ethics 2011", a CLE seminar at the Practicing Law Institute's New York Center. Ronald Minkoff presents "Best Practices for Complex Cases" at the Practicing Law Institue's annual "Bet the Company Event". Ronald Minkoff speaks on "Alternative Litigation Financing: A New Way to Help Pay for Lawsuits and Stay Out of Trouble While Doing It" at the New York County Lawyers' Association CLE Institute. Ronald Minkoff and attorneys from The Bronx Defenders present "Public Interest Law v. Private Law Practice - Pros and Cons" at Frankfurt Kurnit. Ronald Minkoff and Nicole Hyland present a Conflicts of Interest CLE for the New York State Bar Association. Ronald Minkoff presents a program on internal investigations for "Inhouse Counsel and Those who Represent Them" at the New York City Bar. Ronald Minkoff speaks on "Ethics in Anonymity: The Ethical Traps of Anonymizing Technologies" at the 24th Annual Media and the Law Seminar in Kansas City. Ronald Minkoff speaks at PLI's 2011 Bridge the Gap Program at Brooklyn Law School. Ronald Minkoff speaks on "Current Ethical Issues in Complex Litigations" at the PLI's "Bet the Company" Litigation 2010 seminar at the PLI New York Center. Three Frankfurt Kurnit attorneys participate in the MLRC/NAA 2010 Media Law Conference in Virginia. Maura Wogan moderates a panel discussion on issues arising from the Colting v. Salinger litigation. Ronald Minkoff presents "Ethics in the Electronic Era". And Rick Kurnit presents on "Privacy, Publicity, and Use and Protection of Data". Ronald Minkoff presents CLE "Ethics for the Entertainment Lawyer" for the New York City Bar. Ronald Minkoff Speaks at the New York City Bar’s “Ethics for In-House Counsel” CLE Program. Ronald Minkoff speaks at the New York City Bar's "Ethics for In-House Counsel" CLE program. Ronald Minkoff speaks at a webinar on New York advertising rules. Super Lawyers sponsors the program. Ronald Minkoff chairs a panel on "The Disciplinary Process: The Next 20 Years" at the Association of Professional Responsibility Lawyers' 20th Anniversary Celebration in New Orleans. Ronald Minkoff speaks on alternative billing, non-lawyer equity compensation, and management of firms by non-lawyers at the NJ CLE program "The Business of Law: Does It Have to Be Profits vs. Ethics." Could Trump Lawyer Michael Cohen Get Disbarred Thanks to Stormy Daniels? Ron Minkoff was quoted by Law360 on anti-attorney bias and malpractice suits here. Top law firms increasingly go to court to collect fees; is it the new normal? A New York appeals court gave attorneys a reason to celebrate just before the July 4th holiday weekend. Read more. Anyone who has ever had to litigate a dispute knows how important the attorney-client privilege is. Read more. On Friday, the United States Court of Appeals for the Second Circuit struck a blow to nonresident lawyers looking to practice in New York State. Read more. Does N.Y. Judiciary Law §487 Apply to Arbitrations? Law firms often struggle to determine when the rules of professional conduct permit representation of clients who compete in the marketplace. When is it OK, for example, to represent clients with competing patents, trademarks, or copyrights? A recent Massachusetts Supreme Judicial Court case provides important guidance for IP lawyers -- particularly those representing clients with patents. Read more. In a thrilling and important development, New York has promulgated a new Court Rule, 22 NYCRR § 523 ("Section 523"), that allows lawyers admitted in other jurisdictions, but not admitted in New York, to practice here under certain circumstances. Read more. As hurricane Joaquin barrels towards the Northeast, New York lawyers may be reminded of the damage caused by Superstorm Sandy as well as other recent disasters. Read more. Legal Monitor Worldwide quotes Ron Minkoff in the article, "Proposed Rule May Perhaps Propose a Momentary Admission". Read more. Best Lawyers recognized our firm and 17 of our attorneys in their 2016 list. Read more. Ronald C. Minkoff and contributed an article to the New York Legal Ethics Reporter titled, "Tinker, Tailor, Lawyer, P.I. : Are Your Workplace Investigations Complying with the Law?". Read more. Bits or Mortar: Will New York Continue to Require Non-Resident Lawyers to Have Physical Offices? For a variety of reasons, some New York lawyers choose to practice "virtually" - that is, they conduct their business primarily over the Internet, rather than through a physical law office. Read more. Ronald C. Minkoff was featured in the New York Legal Ethics Reporter with the article, "Law Firm In-House Privilege Revisited". Read more. Law360 listed Ronald Minkoff and Caren Decter as counsel in the matter of McMillan v. Barclays Bank PLC. Best Lawyers recognized our firm and 16 of our attorneys in their 2015 list. Read more. The Global Arbitration Review mentioned Ronald Minkoff as Counsel to Jack Grynberg in Grynberg v BP Exploration Operating Co Ltd and Statoil ASA (Supreme Court of the State of New York). In a decision with far reaching implications for law firms and their clients, the New York Court of Appeals firmly rejected the application of the "unfinished business" doctrine - an important principle of partnership law - to lawyers and law firms. Read more. In the current legal and economic climate, some lawyers are using - or considering using - so-called "virtual law offices". Read more. The Wall Street Journal quoted Ronald Minkoff about a court case, In re Thelen LLP, 2014 NY Slip Op. 04879 (N.Y. Ct. of App., July 1, 2014, this week that will test whether creditors to defunct firms can stake claims to the lawyers' fees. View Article. Just three weeks ago, the New York Court of Appeals, in Albunio v. City of New York, issued a ruling on a question that has long bedeviled civil rights and employment lawyers - and their clients. Read more. In a decision last week Melcher v. Greenberg Traurig LLP, New York's highest court, gave a big boost to plaintiffs wanting to sue lawyers for committing intentional fraud and deceit in the course of a court proceeding. Read more. In the current legal and economic climate, some lawyers are considering business arrangements with non-legal entities. A new ethics opinion by the Committee on Professional Ethics of the New York City Bar Association discusses important ethical issues raised by such business ventures. Read more. Our work as professional responsibility attorneys over the past year has given us a front row seat to the most bedeviling ethical conundrums faced by lawyers. In our final Ethics Alert of 2013, we re-cap six important developments for New York-area lawyers, along with tips for staying on the right side of the line. Read more. Are Your Pre-Merger Communications with Your Client Protected? The purchaser in a corporate merger owns the seller's pre-merger communications with its lawyer, according to a recent Delaware decision. In Great Hill Equity Partners Iv, LP v. SIG Growth Equity Fund I, LLP, the buyer sued former shareholders of the seller alleging they fraudulently induced the buyer to enter into the transaction. Read more. A recent New York City Bar Professional Ethics Committee opinion offers important new guidance to New York law firms on use of the "of counsel" title for lawyers who work in foreign countries. The opinion states that a New York law firm can designate as "of counsel" a New York attorney who resides and practices law overseas, provided the firm complies with three criteria. Read more. In its 2014 edition Best Lawyers ranked Frankfurt Kurnit in "Tier 1" in Advertising, Copyright, Entertainment, Trademark, and Trust & Estates Law, "Tier 2" in Litigation (IP) and Media Law, and "Tier 3" in Commercial Litigation and Regulatory Enforcement Litigation. Read more. Can Lawyers Advise Clients to Delete Social Media Content? Increasingly, lawyers are faced with questions about whether they should advise clients about the use of social media. While news reports and ethics opinions have focused primarily on lawyers' social media use, the issue of client counseling has received less attention. Now, a new ethics Opinion by the New York County Lawyers Association concludes that lawyers may ethically counsel clients about their use of social media, including, in some circumstances, advising them to "take down" social media content. Read more. Best Lawyers ranked Frankfurt Kurnit one of the "Best Law Firms" of 2013. Read more. Bloomberg BNA Lawyer’s Manual on Professional Conduct quoted Ronald Minkoff on "unfinished hourly fee matters of dissolved law firms". The Connecticut Law Tribune quoted Ronald Minkoff on whether lawyers disciplined in one state may resign and practice in another state. Th ABA Journal featured Ronald Minkoff's article explaining the ethics issues that may arise if lawyers offer Groupon-style discounted legal services. Reuters Legal quoted Ronald Minkoff on the difficulties in finding an impartial juror and the juror's obligation to disclose certain connections. A state appeals panel recently rejected an arbitrator's $3 million sanction against oil tycoon Jack Grynberg in a decade-long dispute with BP and Statoil, ruling that the arbitrator exceeded his authority in sanctioning Mr. Grynberg for filing a series of lawsuits in bad faith. The New York Law Journal quoted Ronald Minkoff, who represented Mr. Gynberg, on this matter. New York Magazine named eleven Frankfurt Kurnit Klein & Selz attorney's to its 2012 "New York Area's Best Lawyers" list. Read more. Super Lawyers named seventeen Frankfurt Kurnit attorneys in its 2011 edition. Read more. Thomson Reuters News & Insights quoted Ron Minkoff in a T article on legal loopholes that exist within the pending "Clean Up Albany Act of 2011" ethics bill aimed at state legislators. The New York Law Journal featured Ronald Minkoff in an article about a recusal motion filed by Alan Hevesi, former New York State Comptroller, who has called into question the impartiality of the judge presiding over his widely-publicized pension pay-to-play fraud case. Best Lawyers ranked Frankfurt Kurnit in its 2010 edition. Read more. The Minnesota Law Review mentioned Ronald Minkoff's letter on judicial discipline to the ABA's Joint Commission on the Model Code of Judicial Conduct in footnote 134 of its 94th volume. One of the more interesting developments in the legal landscape during the past decade has been the marked change in the way law firms look to achieve growth. Rather than exclusively nurture young associates until they climb the ladder to partner, many law firms take what seems an easier road by recruiting business-generating partners and associates from competing law firms. Read more. The ABA/BNA Lawyer's Manual on Professional Conduct quoted Ronald Minkoff in an article on the 'Middle Way' group of lawyers' attempt to identify a compromise on the subject of lateral screening. The New York Law Journal published Ronald Minkoff’s Appellate Division Decision in Carl v. Cohen. The New York Professional Responsibility Report featured Ronald C. Minkoff's article, "Who's My Client? Part I - The Intermittent Client" in its February 2008 edition.